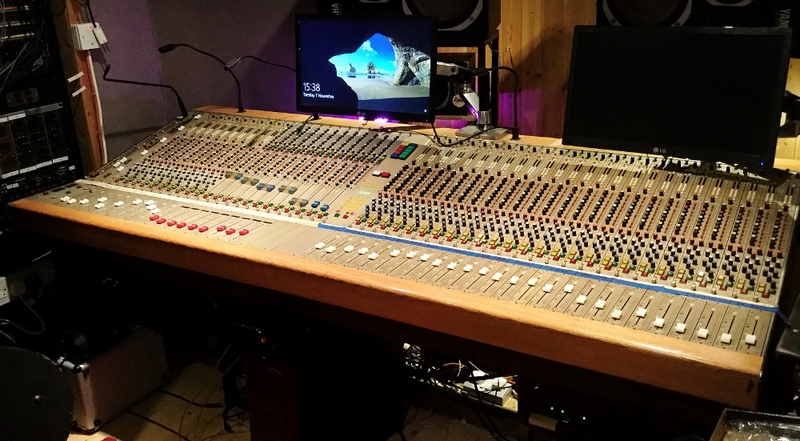 A great sounding console that can be seen working in a London studio. The mic amps and parametric EQ were designed by the magnificent Barry Porter a designer who was also responsible ( along with Malcolm Toft ) for designing the Trident A Range. A single A range module is worth around £ 5,000 today, he also worked with Cyril Jones designing some of the Raindirk range. Like all Cadac consoles the E Series provides high quality audio at a very reasonable price. They can be favourably compared with early Neve consoles with regard to Audio quality and build quality however they cost much less. As the console is still installed in a London studio we do not have easy access to photograph it so apart from the picture of the complete console the others on this web page are taken from our library pictures of a Cadac E Series.